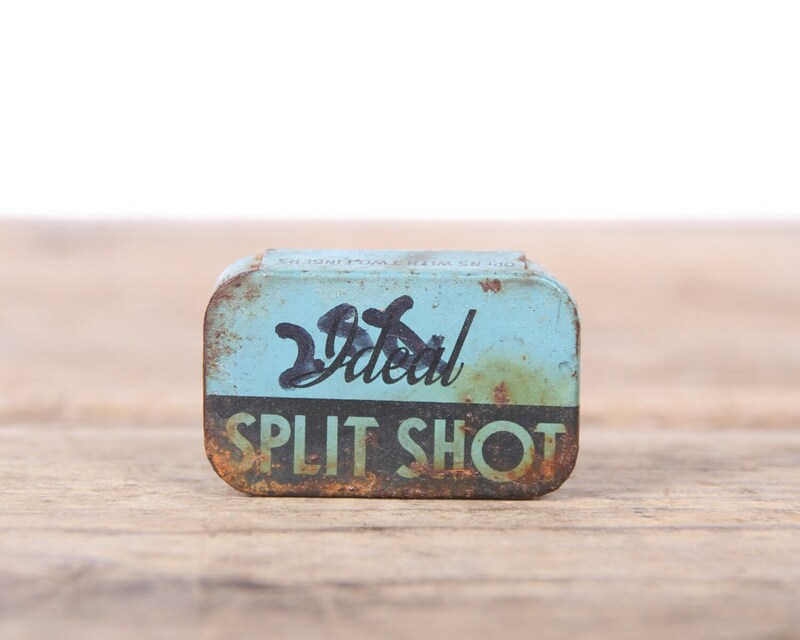 This is a vintage box Ideal Split Shot sinkers. 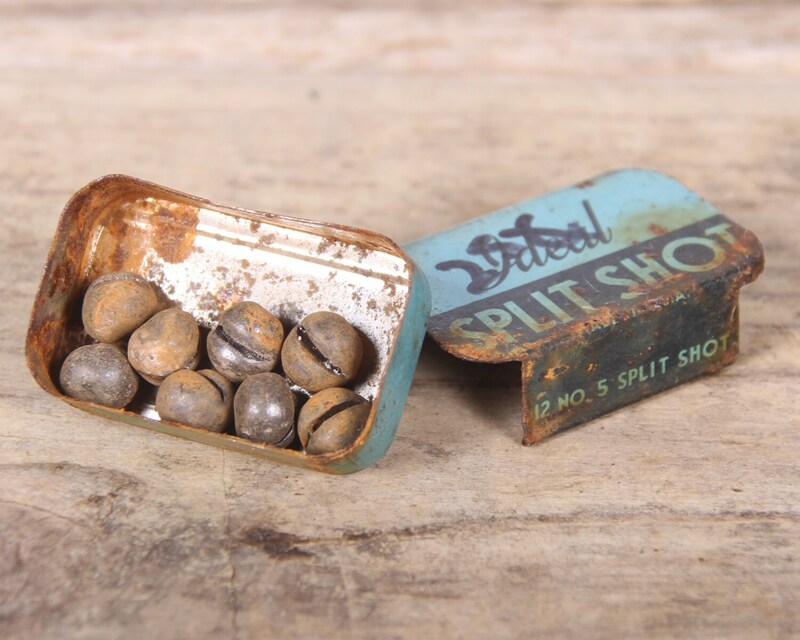 The sinkers are in their original tin box and will be nice displayed. 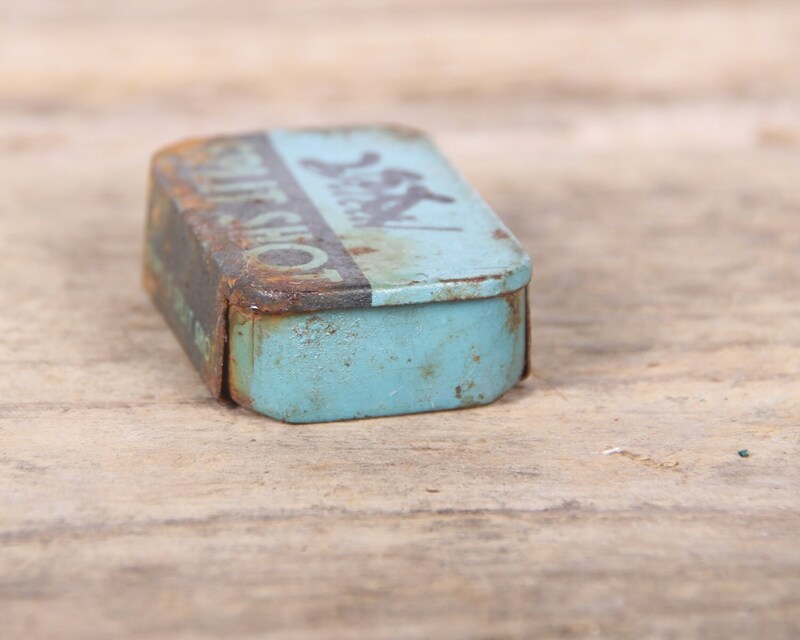 The tin measures roughly 1.5" long. Contact us with any questions.